Edgar ceased trading as "Danube Research" in January 2007. 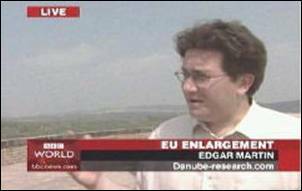 From January 2007 until October 2010 Edgar was the Port Director of Giurgiulesti International Free Port (privately owned and operated by ICS Danube Logistics SRL) - the Republic of Moldova's only port on the Maritime Danube. Edgar joined Infospectrum Ltd as Head of Infospectrum Central & Eastern Europe in October 2010 and is therefore available once more for research and consultancy work in the field of inland waterways, ports and shipping. Edgar Martin offers expertise in issues of transport and navigation on the River Danube, he has also worked extensively on neighbouring rivers, especially the Dnistr (Dniestr / Dniester / Dnister / Nistru) and Dnepr (Dnieper / Dnipro), and on the Black Sea. Lower Danube / Black Sea passenger shipping study (Bulgaria, Romania, Moldova, Ukraine). 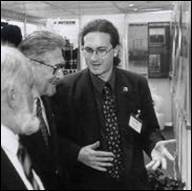 "Danube Research" website since 1997. If contacting via email please use a clear and relevant subject to avoid the message being lost in the spam filter.